The cars and crossover currently available from Buick and GMC feature some of the most impressively advanced high-tech features to be found in the automotive industry. By building next-generation tech into every new model, these automakers have set their lineups apart from the competition and put exciting capabilities into the hands of Orange Park drivers. Learn about some of the top tech, then explore the new Buick and GMC lineup up close at Nimnicht Buick GMC. Think of all the times you wish you could interface with your vehicle when you’re not standing right next to it. The free MyBuick/MyGMC App makes that possible. Once it’s downloaded, you are able to use your phone to lock and unlock your doors, to send an address directly to your navigation system, or to get important vehicle diagnostic information at any time. You are also able to check your tire pressure or control the HVAC system. The app is available for most smartphones, and it was recently made available for the Apple Watch as well. 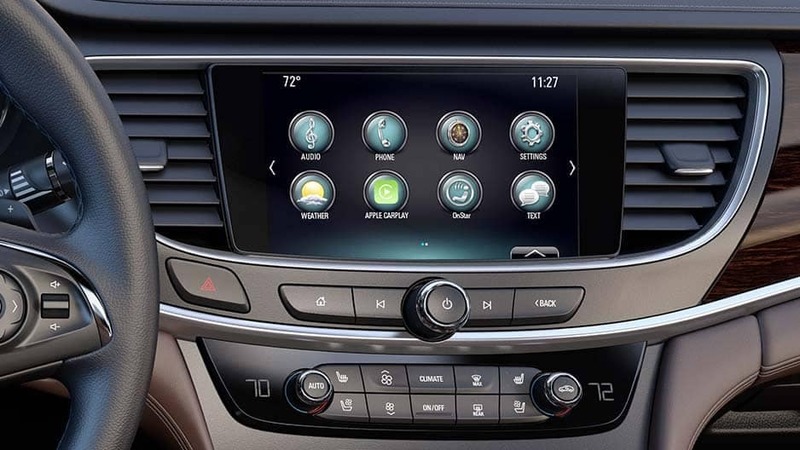 Endless amounts of information and entertainment are at your fingertips when your next vehicle has the IntelliLink infotainment system installed. A large, high-resolution display is incorporated into the center console and equipped with simple menus and straight-forward controls. The display gives you control over everything from audio to navigation to phone functions and offers lots of room for customization. IntelliLink puts the driver in complete control of the cabin. When you’re driving a Buick or GMC, you never need to worry about being disconnected. 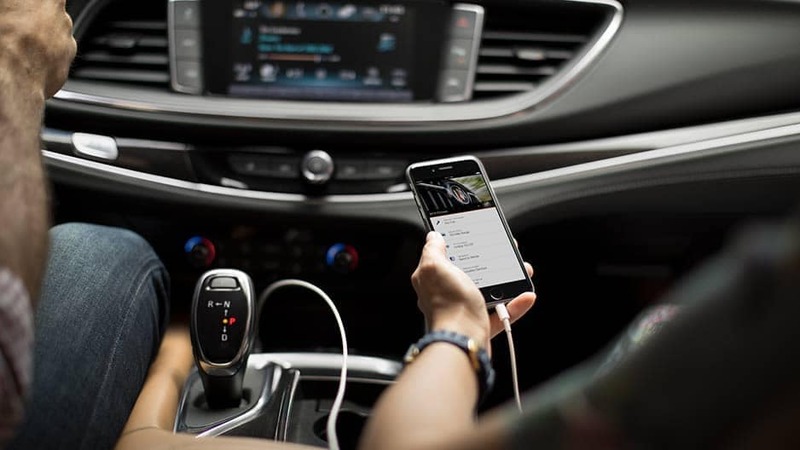 The OnStar telematics system was a pioneering automotive technology that is now even better thanks to the 4G LTE Wi-Fi hotspot that is built-in. Up to seven devices can connect to the high-speed signal whether they are in or around the vehicle. This is a huge asset whether you drive a lot for work, plan to take the family on a long road trip, or simply want to have access from anywhere. Parents with teen drivers don’t want to take away the keys, but they do want to be sure young drivers are safe when they’re driving on their own. Teen Driver technology makes that easy. Parents can program the system to automatically lower the stereo volume and offer warnings about speed limits and seat-belts. The system also reports on teen’s driving behavior so that parents are always in the loop. Teen Driver gives kids their freedom while giving parents peace of mind at the same time. In order to appreciate just how fun, functional, and facilitating these features are, you really must try them out in person. The staff at Nimnicht Buick GMC is here to offer a full tour. And if you’re delighted by what you discover, our vehicle exchange program and online financing application make it easy to trade up. Contact us if you have questions, and visit us soon to get a glimpse of the cutting edge.